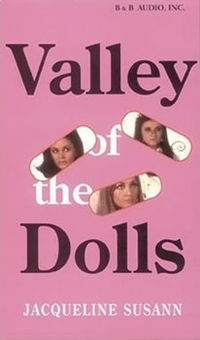 Valley of the Dolls spins a tale as old as time: three young women meet, attain world-spanning prominence and fame as, respectively, the world’s greatest singer/actress, the prettiest model alive, and a, ah, “European art movie” star, then develop various addictions (including cruelty, attention, and good old-fashioned pills and booze), with various, mostly very sad, outcomes. There was no way we could have handled this one solo, and we were incredibly lucky to have the legendary Maura (@maura) Johnston join us to try to make sense of this hot mess. Like the movie says: fasten your seat belts, it’s going to be a bumpy night! But a grand one, very grand, with axes to grind, and scores to settle, and unflattering portraits of our friends to paint! Pop a ‘doll and get ready to experience the ultimate high, as The Only Podcast That Loves You hops in the candy-pink convertible (with a dog painted on every door), picks up Our Pal Maura, and heads for … the Valley of the Dolls.